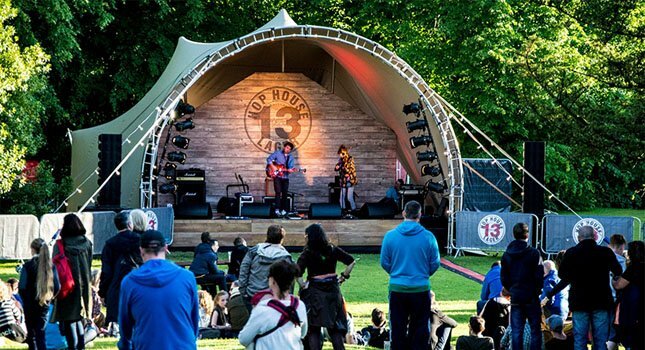 Our European stretch tent rental partners aren’t strangers to extreme weather conditions such as heavy snowfall. 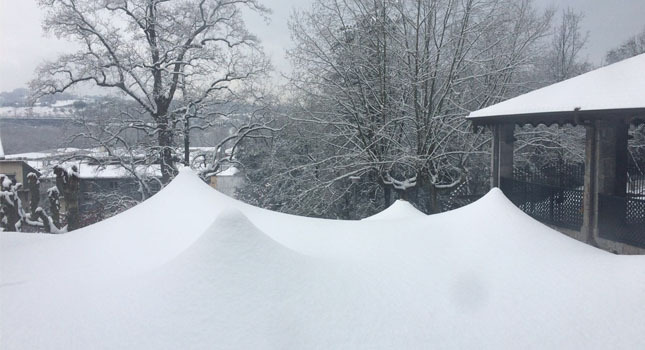 In lieu of the exceptionally cold winter of 2017/18, we take this opportunity to discuss the guidelines for rigging a stretch tent in snow. The topic of rigging in snowy conditions is one that is often raised by our northern hemisphere clients. Below, we highlight the most pertinent points in accordance with EN 1991-1-3. 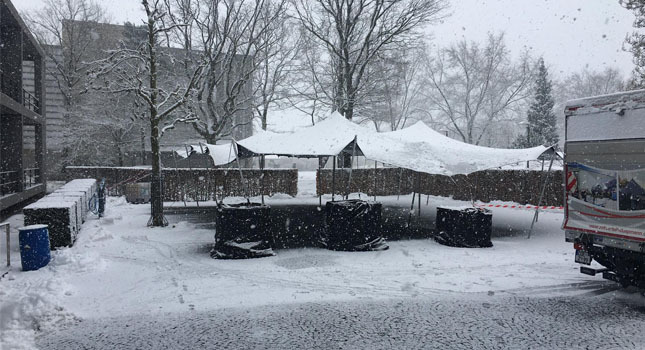 It’s important to note that snow loading can put extreme force on a temporary structure and great care needs to be taken when rigging a stretch tent in these conditions. Here, a perfect example of how not to rig a stretch tent in snow! Erected in areas where there is no likelihood of snow. Operated at a time of the year, when the likelihood of snow can be discounted. 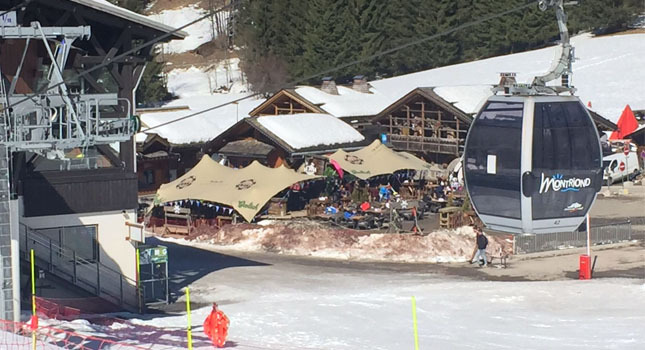 Where by design or operating conditions, snow settling on the tent is prevented. Where pre-planned operation action, prevents snow from settling on the tent. Sufficient heating equipment is installed and is ready for use. Heating is started prior to snow fall. 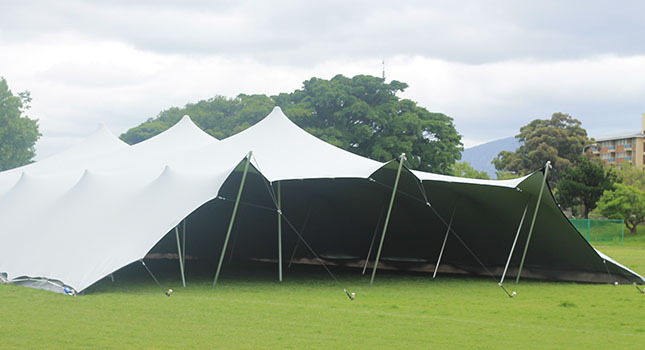 Tents are heated in such a way that the whole roof clagging has an outside air temperature of more than +2˚C. Cladding is made and tensioned in such a way, that ponding of water or any other deformations of the cladding cannot take place. Below is a clear example of how effective heating the tents from below can be in controlling the snow. 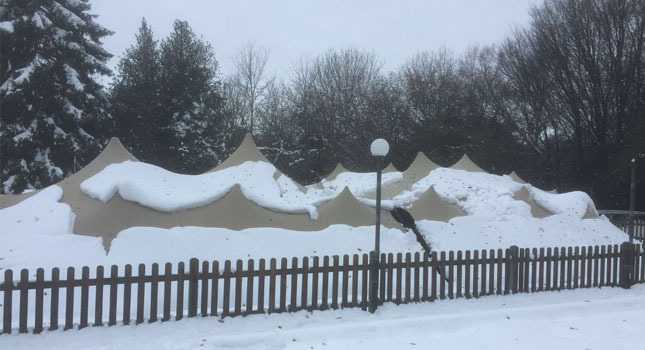 Reduced snow loads for tents, may be applied with 0.2kN/m² on the overall roof area, provided that a now height not exceeding h=8cm can be assured at any time, by removing snow. 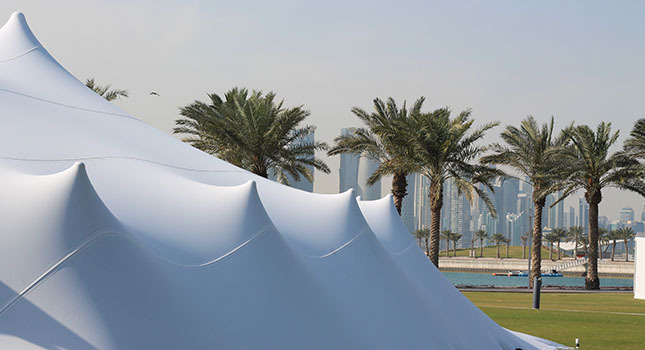 For more information on how to rig a stretch tent in extreme weather conditions, get in touch with our experts via the button below.